The 4Quality! project, launched in December 2014, aims to improve the quality of jobs and services in personal care and household services (PHS) across Europe. Funded under the European Commission’s PROGRESS programme, it involves nine organisations which represent the interests of public social services, workers and employers in the care sector, and service providers, as well as a think-tank and a research institute. 4Quality! aims to analyse and share good practices on working conditions and skills development, quality of home care services and housework activities for dependent people at home, and the coordination between different services. It addresses the specific issues concerning this sector such as the importance of informal work, poor working conditions and the subsequent high turnover, lack of skills development and quality measurements especially in services delivered to vulnerable people. The first phase of the project involved research into qualifications, quality of work and services in 11 countries: Italy, France, Belgium, Spain, United Kingdom, Sweden, the Netherlands, Finland, Czech Republic, Austria and Germany. The research outcomes were presented at three regional seminars organised in Rome, Brighton and Vienna throughout 2015. 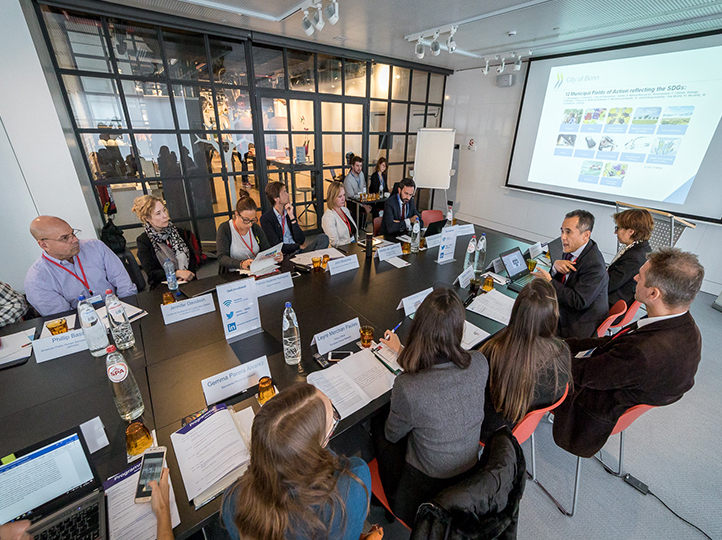 European stakeholders active in the field of social services had the opportunity to exchange good practice examples and discuss their potential transferability in other countries. The findings of the project were published at the begining of 2016 in a comprehensive analytical report that covers the state of personal and household services in Europe and looks at policies in selected countries, work and employment quality, and service quality. In addition, 11 country reports were published, describing personal and household services in Austria, Belgium, the Czech Republic, Findland, France, Germany, Italy, the Netherlands, Spain, Sweden and the United Kingdom. A set of European recommendations was put together to contribute to improvements to the quality of PHS sector in Europe. Showcasing local examples of quality improvement and innovation in this area, the European Toolkit completes this series of outputs from 4Quality! project. ESN welcomed the 2012 European Commission’s consultation launched in 2012 by the European Commission on “Exploiting the employment potential of the personal and household services” as part of the Employment package. More developed PHS can effectively complement the provision of health and care at home and we recognise the potential for employment creation in this sector. However, as stated in the ESN response, this should not be the only driver for PHS development, instead the needs of service users and the need to fill the gaps in existing services should be the motivation. Within the 4Quality! project, ESN organised the second regional seminar with representatives from the United Kingdom, Sweden, the Netherlands and Finland. In addition, ESN members is participating in and contributing to all three events. The outcomes of the project will also contribute to discussions around workforce development and the quality of jobs and services in other working areas of ESN, including ageing and care, support for people with disabilities, and children’s services. You can find all of the publications of the 4Quality! projects in English and other languages here.